Ekol’s Investments in Europe which began with Germany in 1996, and grew since with investments in Italy, Romania, France, Ukraine, Greece and Bosnia-Herzegovina, maintains the pace of growth now with Hungary. 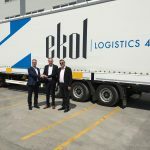 Making itself a name through substantial investments in Europe and Turkey, Ekol Logistics maintains full steam in investments in Europe, with the recent investment in Hungary. 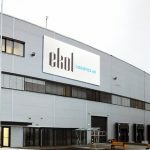 Never ceasing investments with a view to offering higher quality services to its customers, Ekol founded Ekol Hungary with an investment of 1 million Euros in one of the most strategic spots on the geopolitical map of Europe. 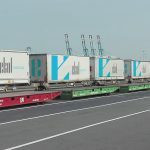 Ekol Hungary will be a strategic connection point to Europe with the company’s existing Intermodal network. 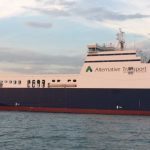 The Intermodal transportation, combining rail, road and sea modes; will provide the Hungarian customers reliable, cost efficient and sustainable solutions. 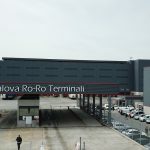 Ekol Hungary commenced its operations as of 1st October to offer its customers international road transportation, intermodal transportation, customs clearance and 3rd Party logistics services with its office in Budapest and its storage facilities of 1500 sqm, located near the customs office. Ekol Hungary, expecting a turnover of € 7.5 million in 2014, aims to become the market leader in the Turkey-Hungary route. Ekol Hungary will target to grow its market share, thus the Hungarian personnel number will rise up from 10 up to 50 by the end of 2014. 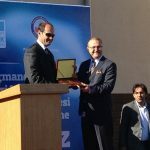 Ekol Hungary sets its goal to increase its warehousing capacity in the days to come and to expand its Intermodal service network in Europe with its investment in new trailers and trucks and thus will facilitate transportation not only in Turkey-Hungary route but also between all European and CIS countries. 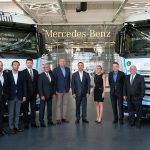 Moreover, Ekol will serve to major leaders of automotive and FMCG industries. Ekol with its strong and professional structure plans to operate in the area of contract logistics in Hungary. 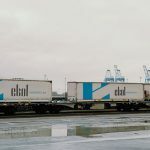 Starting off with the objective of becoming one of the first 5 names that comes to mind in logistics in Europe, Ekol proceeds confidently towards this goal, through substantial investments. We always strive to offer better and higher quality services to our customers. In this direction, we engaged in the investment in Hungary. Therefore, we made our presence felt in 8 distinct countries of Europe. We will continue investing in Europe and reinforcing our trade bridges. We believe the joint forces of the Hungarian and Turkish economies and workforce will be beneficial to both. 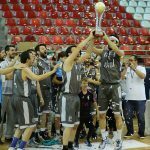 Ekol Logistics’ European saga began in 1996 with Ekol Germany and continued with Ekol Romania and Ekol Italy in 2011, and Ekol Bosnia, Ekol France, Ekol Greece and Ekol Ukraine in 2012, with a view to reaching for its goal of becoming a regional and multinational player with its headquarter in Istanbul / Turkey, through acquisitions, partnerships, and companies established in 8 European countries.